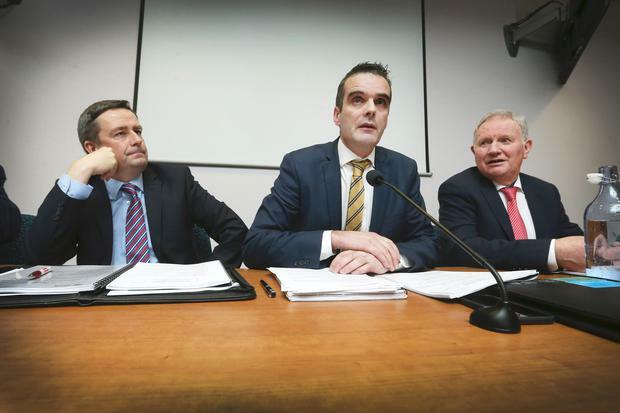 IFA President Joe Healy, flanked by General Secretary Damian McDonald and IFA Deputy President Richard Kennedy. The IFA Farm Centre in Bluebell, Dublin. Communication between the IFA and its thousands of members countrywide has been brought under the microscope as the organisation conducts a review into the issue. Rank and file members in several areas of the country have been critical of “the divide” between IFA at national level and the membership on the ground on decision making and have been calling for farmers’ voices to be heard. The launch of the Beef Plan Group has set a challenge for the IFA to counteract allegations that livestock farmers have not been adequately represented by the organisation. Over 70pc of the IFA membership is made up of livestock farmers. It is understood the review will examine how the organisation communicates with its membership and it will be considered by the national officers before the end of this month. A senior IFA source explained: “We want to see are we getting the messages to the members as effectively and as quickly as possible.